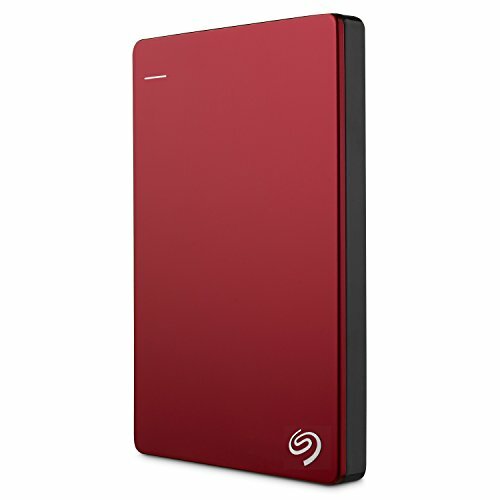 The Seagate Backup Plus Slim Portable Drive is the simple, one-click way to protect and share your entire digital life. Perfect to take on the go, the sleek metal case design allows for the thinnest portable hard drive available with up to 2TB of capacity. It goes anywhere - without getting in your way. - Features mobile backup using the Seagate Mobile Backup App - Protect your stuff with easy, flexible backups - Back up from Facebook and Flickr and share to YouTube - Easy to share files between Windows and Mac computers - USB 3.0 plug-and-play with no bulky power supply adapters.